Last year, Saint Patrick’s School received a grant to revamp our computer lab. Before we spent a cent, though, we made certain to connect every purchase with two important goals of our pre-K–8 Catholic school: improving each individual child’s academic and career prospects, and improving our students’ scores on state assessments, which are critical to whether we’re succeeding or failing as a school. To that end, here are four essential skills that we strive to teach all of our students by the time they finish middle school. Robots encourage kids to collaborate and to drive lessons with their creativity. They decide as a team what they’re going to accomplish, and they go from there. For the past year, we’ve been using the Sphero SPRK+ and Dash and Dot to introduce robotics and support inquiry-based learning. This year students will also be using Ozobot’s Bit and Evo robots, as well as Lego WeDo and Mindstorms robotic kits. Today’s students need keyboarding skills for coding, but also for their assessments, which are now being delivered online. Here in New York, students can be required to type paragraphs on an assessment as early as 3rd grade, and our state standards require keyboarding skills as well. 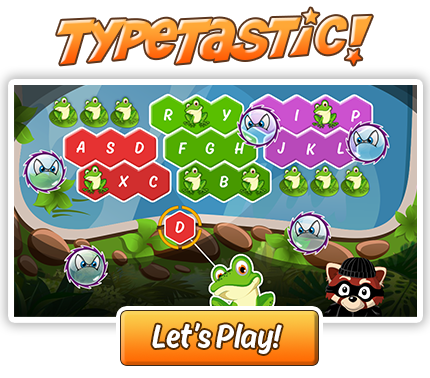 To help all of our students learn how to type or to hone their skills, we use online typing games from TypeTastic. Our kindergartners start by using the mouse first to get familiar with the keyboard, then move on to actually finding the letters on the keyboard. Once they can locate the letters on the keyboard, the games are sequenced so they find the home row using one hand at a time and then progress to those keys above and below the home row. For our younger students, typing is one unit covered throughout the year and is taught as a full-period lesson during their weekly computer class. Keyboarding is embedded in the curriculum for K–3 students so that, as they move from grade to grade, it becomes second nature to them. For 4th– through 8th-graders, typing is more often a 10-minute warmup at the start of computer class. Each child works at their own pace within their assigned units. In addition, some students have the opportunity to continue their lessons on Chromebooks during their weekly library period (once they finish their library work). They love that the keyboarding skills they’re learning are presented as a game. Ultimately, we want our students to be producing things that are valuable to other people. For example, we do a lot of 3D design in TinkerCad. Some of the grades use a program called Book Creator to help kids write and illustrate their own stories. With an art program like Kid Pix 3D, students can draw, paint, and create animated artwork or slideshows As much as they’re creating, though, they also need to be able to explain their finished product and the process they followed to achieve their goal. This is another reason keyboarding is so important to our program. Today’s students need to be able to use different forms of technology to produce rather than just consume media. Our middle school is 1:1 on iPads, so devices are part of their blended learning experience in every class, whether they have an attached keyboard or are using the touchscreen. For the younger grades, we do a lot of device-sharing. We have 50 iPads and about 25 Chromebooks that can be shared among the K–5 students. This means that from an early age, they become comfortable with both the touch screen and traditional keyboard. They independently locate apps as well as websites, and are able to connect with their teachers and peers using whatever device is at hand. At Saint Patrick’s, we’re using these tools as part of students’ day-to-day work, and also to give them the best possible chance at success in high school, college, and their careers. Rebecca Steck is the principal and Jennifer Vespucci is the computer teacher at Saint Patrick’s School in Yorktown Heights, New York. This post is based on an article originally published by eSchool News. ← For Special Education Students, TypeTastic Leads to Keyboarding Success! typetastic is one of the best ways to develope your typing skills. Today’s students need keyboarding skills for coding. and for assessments.